We have talked about technology a number of times here on Family Volley. We have read the research and know that too much TV, too many video games and over use of cell phones drains our family of time together. But, we also know that technology is part of our lives. It is not going anywhere, and we need to know how to use it responsibly. It is also no surprise that technology is generally geared towards boys. Our boys are much more likely to be encouraged to be involved in tech, math, and engineering. But our girls need exposure to these options just like our boys. It can be really hard to find programs, apps and games that are geared towards our daughters. The great news is that more and more, companies are tuning into the need for more technology geared towards girls. 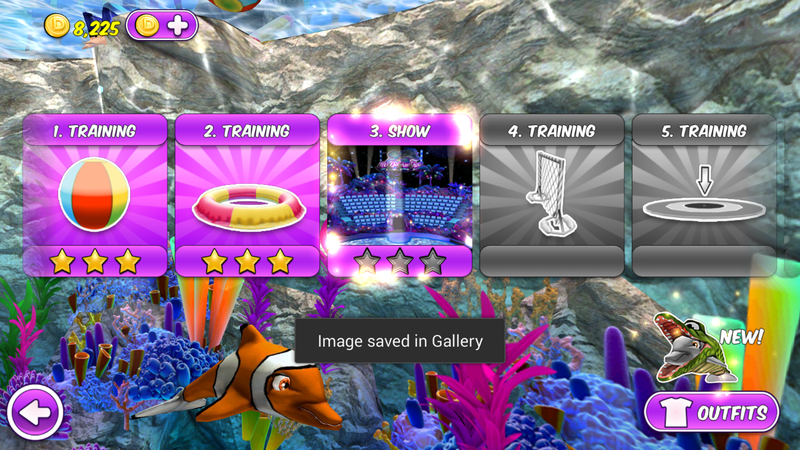 I recently learned about a great app on the market called "My Dolphin Show" by GirlsGoGames.com. 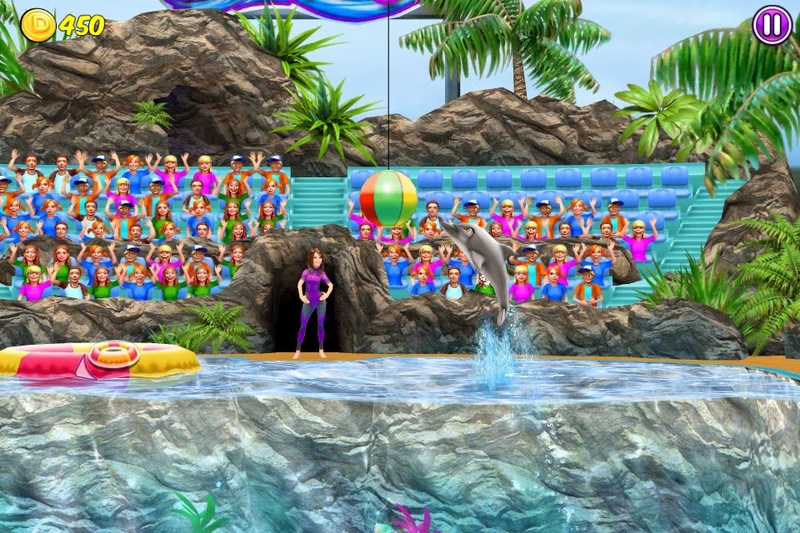 The game lets your girls guide their dolphin through hoops and jumps and underwater fun. When you beat levels and earn points, you get to "buy" new outfits for your dolphin to compete in and upgrade to other creatures like sharks, mermaids, or polar bears. Our girls, especially our eight year old, loved the game. She loved the challenge and that it was geared towards her, and not her brother. She also loved dressing up her dolphin. My Dolphin Show is FREE and has a 4+rating in the App store. There is no in-app advertising which is really important to me. And with over 2 million installs already, it has been a big hit. The app is free to download from the Apple App Store, Google Play and Amazon using the following links. 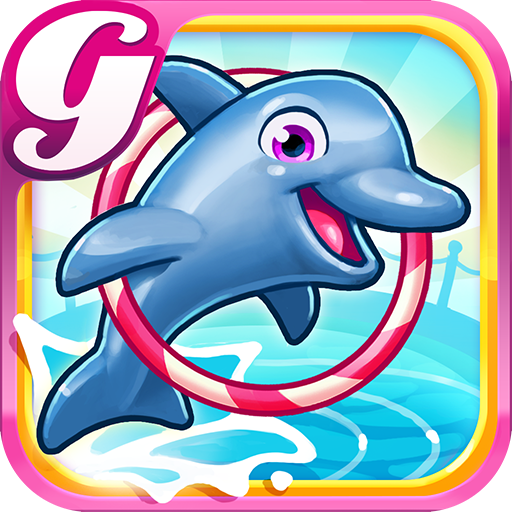 If you are looking for a great game for your girls, download the "My Dolphin App." You won't be disappointed. Check out this fun video with your girls. And don't be surprised if you find yourself wanting to play also. Cause I do. Busy life circumstances than the current world history.Thanks you so much! A todos que partilham e trabalham sob estas mesmas convicções e princípios Friv Friv 360 Friv4school 2020 Senhor Deputado Cashman, agradeço-lhe a informação. Jeux De Friv 2018 Juegos De Roblox Juegos De Zoxy Mais uma vez, obrigada ao Parlamento por comungar da visão que informa a nova política dos consumidores Juegos Kizi 2017 Juegos Yepi 2017 Zoxy 2 assente no mercado - a visão de um mercado de consumidores informados e capacitados que procuram e usufruem, com confianca. Information Technology (IT) can be safely declared as the most wondrous technological advancement that humanity has seen so far. It is so not only because the miracles it made possible, but also because the way it allowed the innovations that we can harness for our purposes, ranging from forecasting the weather to making an online purchase, from building enterprise class applications to interactive games. These innovations are going to proliferate in the future and will impact our lives in a way never seen before. Read more for a list of 50 click site trends on their way.